The River Seine has overflowed its banks in Paris, as floods submerge or threaten towns and cities in France. 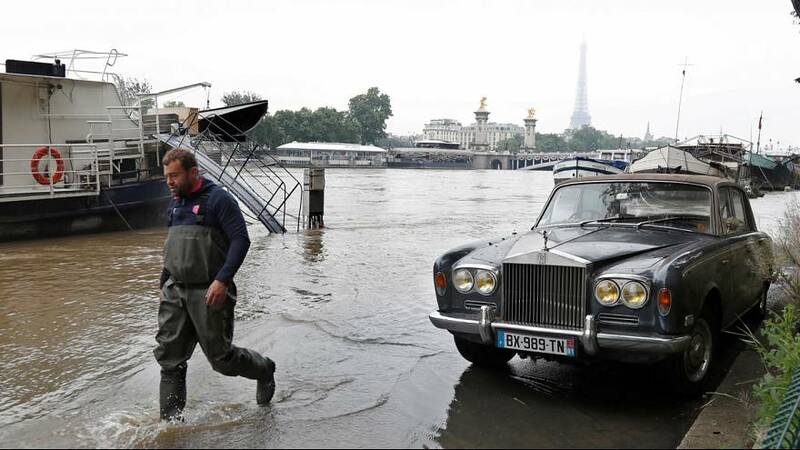 Paris City Hall closed sections of road along the Seine from the far southwest of the capital to the district around the Eiffel Tower after river levels rose late on Tuesday. Residents and tourists have been warned to be vigilant around the river banks, with the high water levels set to last until the end of the week. The French Open tennis tournament has suffered severe delays because of the rain. Two prisons have had to be evacuated and massive rescue operations have been undertaken in the northern Pas-de-Calais region near the English Channel.